Strong steel construction with gas lift height and angle adjustment. Deep padded seat and knee cushions. Silver epoxy-coated frame mounted on easy roll castors for ease of movement. 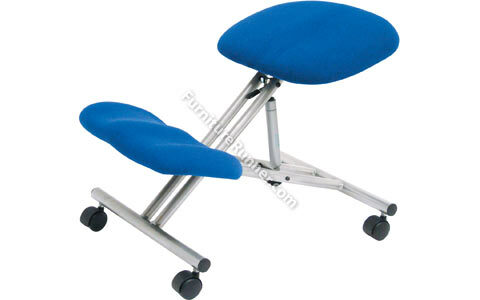 Trexus Posture is a family of seating featuring the Lumb-Air® back support system. This unique push button system allows you to adjust the lumbar support so that it is perfect for you in addition to all the other quality features that you have come to expect from Trexus.